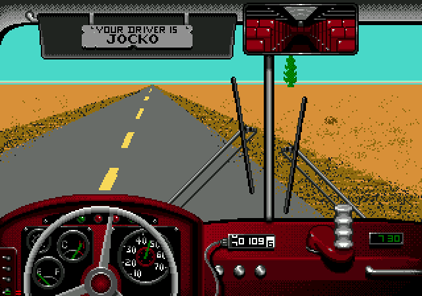 Desert bus is probably one of the best games ever. Unfortunately the game was never released, until now. 11 years after the planned release date Waxy is hosting a torrent for this mythical game. The game is part of a long-lost Penn and Teller videogame. There is no scenery or even other cars on the road, just plain desert, for 8 hours. Oh, and your bus veers to the right just slightly, so it’s impossible to just tape down a button and go do something else. Rumor has it that if you make it to Vegas, you score one point. Really, you have to try this one. c There are 156 comments. Add yours?